You’ll be ready to step foot outside your door for your next adventure with this week’s DIY inspired by that lovely round door at Bag End. Check below the cut to see how to make your very own Hobbit Door Wreath! Whether it’s dragon egg wine stoppers or a Millennium Falcon cutting board, there’s no reason why everyday useful items around the home and office can’t be awesomely geeky too. Check below the cut for some of our favorite items that are sure to be a hit this holiday season! Lindz and I are more than a little obsessed with bags/purses/wallets. 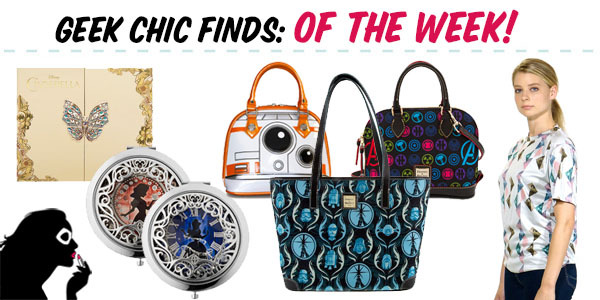 There’s a lot of fun variety to be had if you know where to look, and we hope this gift guide shows you some bags and (accessories!) you’ll want to give or receive this holiday season. It’s that time of year again! The one where my bank account disappears into the Phantom Zone, never to be seen or heard from again. It also means it’s time for one of our favorite kind of posts – gift guides! Let’s start off with a selection of jewelry that’s sure to be on everyone’s list. Or is now. 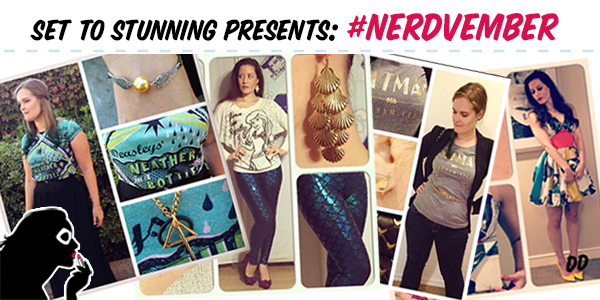 It’s the news you’ve all been waiting for, the winners of this year’s #NERDVEMBER fashion challenge! We had an amazing turn out again this year. Even more impressive was 30% of you participated in the challenge for all 30 days! We were so impressed with all of you and definitely enjoyed all the outfits you put together. Each year they get better and better. It’s that time of year again! We’ve put together a list of all the best deals around the web for great deals on geeky items. Whether you’re buying something for that special geek in your life, or looking for great deals for yourself, we’re sure there will be a sale for you. We’ll be updating this post as we find more sales. And keep an eye out for our gift guides starting next week featuring some of our favorite items! It’s been awhile since we’ve posted about Black Milk Clothing on the blog, and part of that was because we hadn’t really seen much worth posting about. 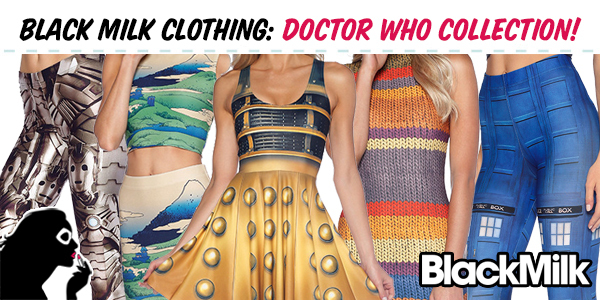 However, with their new Doctor Who collection, we’re finally excited about a release! Are you ready for the best month of the year? That’s right, it’s time for #NERDVEMBER! We had such an amazing turnout last year, that we just had to do it again this year. 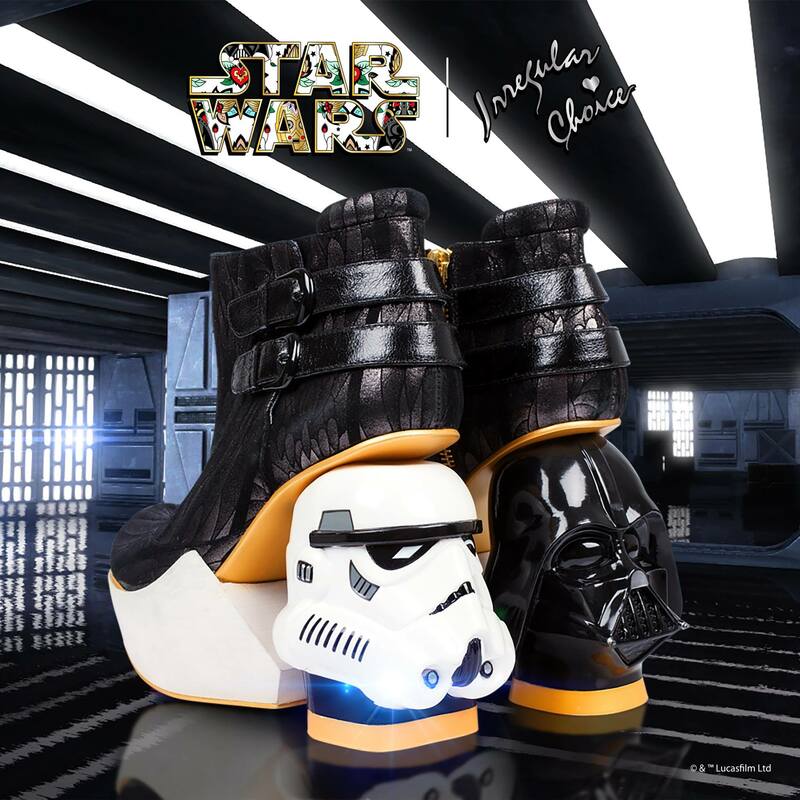 It’s been awhile since we’ve done a geek chic round-up! Today’s post features a lot of companies that are either new to the geek world or that we’ve never posted about before. From make-up, to purses, to new clothing brands, there’s a little something for everyone!